Since some years we notice that people who want to buy a piece of land and who want to live in a self sustainable way, have a lot of questions about how to start and what to expect. The homestead consultant can help you to answer these questions. What kind of land is best to buy? Where am I going to buy land? What practical skills do I need? Where can I learn these skills? Because we are some steps ahead from just starting to live self-sustainable, we could help people to find answers to their questions and help them by to where we are at the moment. 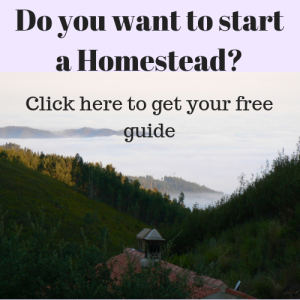 What does ‘The Homesteaders Consultant’ offer? -As a Homesteader you are very busy so we can help you to do research. -We organise information in courses, summits, interviews and podcasts. In doing so we will also dig out some topics a bit further. What type of topics is the ‘Homesteaders Consultant going to cover? The list of topics we had to deal with is very long and we want to share it all. Here is the summary: Preparations for moving to the land; land use; water management; irrigation; project management; working with volunteers; work at home options; rules and regulations (Portugal); financial models and legal forms; producing your own food; food preservation; cooking; health; networking; utilities; etc. If you want to start a Homestead and have questions, please ask. We appreciate your input a lot.